At Bay Industrial we have a full line of Sight Glass for you to custom order in your desired length. 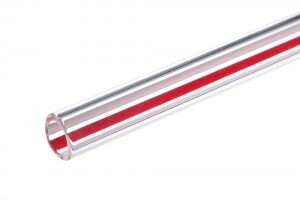 We offer Redline Glass Tube in 3/8″, 1/2″ , 5/8″, and 3/4″. We also have Acrylic Sight Glass in 1/2″, 5/8″. Contact us to order or get a quote on any length of sight Glass. Bay Industrial also offers Custom RTD’s and Thermocouple’s. We are Western Canada’s leading supplier of Instrumentation and Heat Transfer Equipment. Also known as Gauge Glass, Gage Glass.